Money management is an undiscussed and often feared topic. Many people (not just college students) avoid thinking about their bank accounts, their credit scores and their spending habits for a variety of reasons. Unfortunately, this behavior can have serious consequences. It also leads many to have an unhealthy relationship with money. Instead of viewing money management as a burden, young adults should understand that attention to their spending habits and financial responsibility can lead ultimately to greater financial freedom. 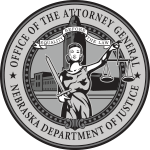 The Nebraska Attorney General’s Consumer Protection Division is here to help protect your money from scam artists and unscrupulous businesses and also to inform and answer questions that you may have as you venture into the new world of personal finance. It is never too soon to start thinking about money management – or even planning for the future. The younger you start, the further ahead you will be later on down the road of life. Scammers know that finding the right apartment or vacation rental can be hard work, and a seemingly good deal is hard to pass up. Young adults are often targets due to their short-term housing needs and constant transitions as they attend college, move to start new careers, and begin families of their own. Often, scammers will post an advertisement for a property to rent at a great price on free internet sites such as Craigslist. The ads appear to be legitimate. However, once interest is shown in the property, the scammer pressures that consumer to send a deposit immediately. After the money is sent, the victim never hears from the scammer again. They tell you to wire money. This is the surest sign of a scam. There’s never a good reason to wire money to pay a security deposit, application fee, first month’s rent, or vacation rental fee. That’s true even if they send you a contract first. Wiring money is the same as sending cash. Once you send it, it is nearly impossible to get it back. They want a security deposit or first month’s rent before you’ve met or signed a lease. It’s never a good idea to send money to someone you’ve never met in person, for an apartment you haven’t seen. If you can’t visit an apartment or house yourself, ask someone you trust to go and confirm that it’s for rent, and that it is what was advertised. In addition to setting up a meeting, do a search on the owner and listing. If you find the same ad listed under a different name, that’s a clue it may be a scam. They say they’re out of the country, but they have a plan to get the keys into your hands. It might involve a lawyer or an “agent” working on their behalf. Some scammers even create fake keys. Don’t send money to anyone overseas. If you can’t meet in person, see the apartment, or sign a lease before you pay, keep looking. If the rental itself is overseas, paying with a credit card or through a reputable vacation rental website with its own payment system are your safest bets. If you sign a contract, it is binding. If you break the contract, you can be sued. Your signature on a contract indicates that you have read and understood the contract -- even if you haven't. Protect yourself by getting a written agreement. The terms agreed on must be in the contract. Not all contracts have the word "Contract" typed across the top. Receipts, sales slips, tickets, guarantees --even parking valet stubs -- can all serve as contracts. If you sign a contract, it is binding. If you break the contract, you can be sued. Your signature on a contract creates a presumption that you have read and understood the contract -- even if you haven't. Not all contracts have the word "Contract" typed across the top. Receipts, sales slips, tickets, guarantees -- even parking valet stubs -- can all serve as contracts. When you're making a major purchase, insist on seeing the contract well in advance of signing it. Take a copy home overnight so you have plenty of time to read and understand it. Don’t let the salesperson pressure you into signing. Don't rely on the salesperson's summary of what the contract means. Read the entire contract and make sure you understand it. If you have trouble with the language, get someone to read it with you. Study the content to make sure the terms you and the seller agreed upon are included. Negotiate for terms that you are comfortable with. Never sign a contract that contains blanks. Be aware that some contracts eliminate the right to sue. Often, contracts require binding arbitration. If you want a clause added or deleted for your protection, write it in or ask for a manager. If the business refuses, consider taking your business elsewhere. Read credit applications before you sign. Don’t sign if the information is not true. Make your signature big when you sign a contract. Sign your name large enough so that it overlaps the lines above it, so it's hard for the company to cut and paste. Never leave the business without a signed copy of your contract in hand. Establishing good credit and learning to use it wisely when you are young can make your transition to adulthood much easier. A positive credit history is more important than just being able to use a credit card to buy things. Your credit history may be considered by potential employers when you are looking for your first job. It may play a part in approving your apartment application. And, it will be critical for buying your first car so you can get to work every day. Having your parents include you as an authorized user or joint credit card account holder is an easy first step toward building a positive credit history. Equally important, you can help your parents review the monthly statements and perhaps even help make payments. Learning about the entire credit process, from making a charge to paying the bill, will help you manage credit well when you get out on your own. Understanding the responsibility to make every payment on time is the key to using credit to work for you, rather than becoming a slave to credit. Be selective. Only apply for accounts that offer the incentives you want and need. These might include low interest rates, low or no annual fees, or even airline miles you can use to travel home between semesters, if you charge enough to justify the annual fee. Pay your bills on time! One of the most important steps in building and maintaining a solid credit history is to pay all of your bills on time each month. If you pay late and the creditor reports your late payment to the credit bureaus, it may damage your credit history, and lower your credit score. You may want to consider setting your bills to be paid through automatic electronic bill pay. This will reduce the likelihood of payments being late. Be aware of your credit cards’ credit limit, and avoid using over 30 percent of your total credit limit. Try to pay the balance on your credit cards in full each month, as this will help you obtain the best credit scores. Only apply for credit you need. It is not wise to have more credit cards than you are able to pay in full each month. Don’t apply for multiple lines of credit within a short period of time. Doing this can lower your credit score. Avoid withdrawing cash from your credit card. Due to the typically inflated rates on cash advances, only use this option in case of an emergency. Generally, the first major expenses in a young adult’s life are their education and their first vehicle purchase. If you need to borrow money, carefully consider your options. Paying for school can be a significant financial burden. Carefully consider tuition and other costs of attendance when choosing a school. Limit the amount of money you are borrowing even if you are approved for a larger loan. Have a clear repayment plan, and make sure you are able to make the monthly payments. If you need help deciding how much to borrow, consider speaking with a financial aid counselor at your school and using a college budget calculator. Determine how much money you can comfortably spend on a vehicle payment each month. Don’t forget to factor in the cost of insurance, registration fees, taxes, and routine maintenance. Shop around for both the vehicle and the loan. Check multiple lenders for the best annual percentage rate. 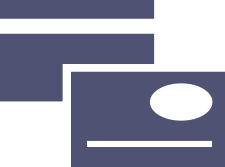 Find a reputable credit card company with reasonable interest rates. Consider getting a credit card that offers rewards that best benefit you. Be aware of credit cards that charge an annual fee. Also consider whether the benefits outweigh the annual fee. Read the fine print! Be aware of rates that are only introductory, and costly fees. Young adults often find themselves burdened with a lot of debt and very little savings. 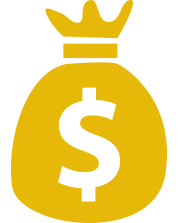 There are simple strategies for building small savings into large sums. Start saving with your first paycheck. Money you “never” had can’t be missed, and you will thank yourself in the future. Commit to saving money regularly. Establish a direct deposit into your savings account.